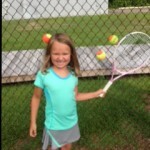 Sign up now for Summer Junior Tennis Camps! This summer we are offering 4-day weekly camps for the low price of $20 per child per week! Your child can attend up to 4 times per week for the same low cost! There is no pro-rating. The camps start the week of June 10th and run through the week of July 1st. There will be no clinics on Wednesday, July 4, 2019 and the cost for this week is only $15. The focus is on skill development for beginners and intermediates, and there will be a huge emphasis of FUN! Complete and mail the registration form today to ensure a spot for your child. Times are set to be complement our Swim Team schedule. Active fun for your children! 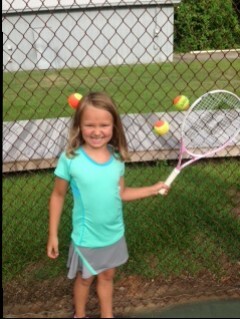 8 and under, Monday through Thursday, 8:00 to 9:00 a.m., $20 per week. 9 and above, Monday through Thursday, 10:00 to 11:00 a.m., $20 per week.